Endurance swimmer and Ocean Advocate Lewis Pugh has been called the “Human Polar Bear” and a “Speedo Diplomat”. He puts his body on the line to bring his message home, performing long-distance swims in waters so cold they would kill any ordinary person. Lewis Pugh is anything but ordinary. He’s swum in every ocean in the world, across the North Pole and broken his own record for the world’s southernmost swim (in Antarctica) no less than three times – all in service to the oceans. In recognition of his efforts, the United Nations appointed him as their Patron of the Oceans. But perhaps his most daring feat of all was walking alone into the Kremlin to prevail upon Russia to drop their five-year opposition and join the other CCAMLR nations to create the Ross Sea Marine Protected Area. The direct result was the formation of the world’s largest protected wilderness, on land or water. The 1.5 million square kilometre Ross Sea MPA was signed into being in October 2016. The World Economic Forum spoke with Lewis Pugh to ask him what makes his particular brand of diplomacy different, why he thinks his methods succeeded in Russia and the Ross Sea, and where he’s set his focus on for the future. WEF: How does it feel to have helped negotiated the biggest protected area in history? LP: I am overjoyed. I devoted the last two years of my life to help bring this about, and there were times when the odds against it seemed overwhelming. WEF: The Ross Sea MPA has been lauded around the world. Why is this agreement such a big deal? LP: It’s the biggest protected area in the world. To put it in perspective, it’s bigger than the UK, France, Italy and Germany combined. It’s also the first large marine protected area in the high seas – so it hopefully sets an important precedent. 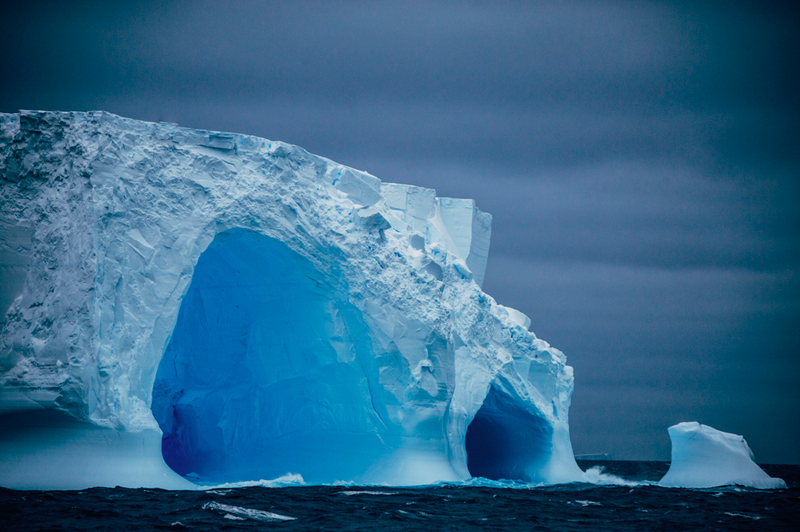 The Ross Sea has far more value being left alone than being turned into a fishing ground. It’s the most untouched ecosystem left on the planet. Scientists gain so much understanding from it. WEF: Where did the term “Speedo diplomacy” come from? LP: A Russian journalist coined the phrase. He was comparing me to Nixon and his Ping-Pong diplomacy in China in the 1970s. That journalist recognised the power of sport and human endeavour to cut across national boundaries. And because I swim in nothing more than a pair of Speedos, he knew it would be a catchy line! WEF: Beyond the catchy phrase, your method gets results. What is it that makes it so effective? LP: The reason I think Speedo Diplomacy works is that change is driven by individuals, rather than institutions. So for me, Speedo Diplomacy is about the power of individuals and small teams to drive change. WEF: How long had the Ross Sea negotiations being going on? LP: The MPA was first proposed by David Ainley, an American scientist working in the Ross Sea, in 1999. He was seeing the devastating impact of industrial fishing and climate change in the area. 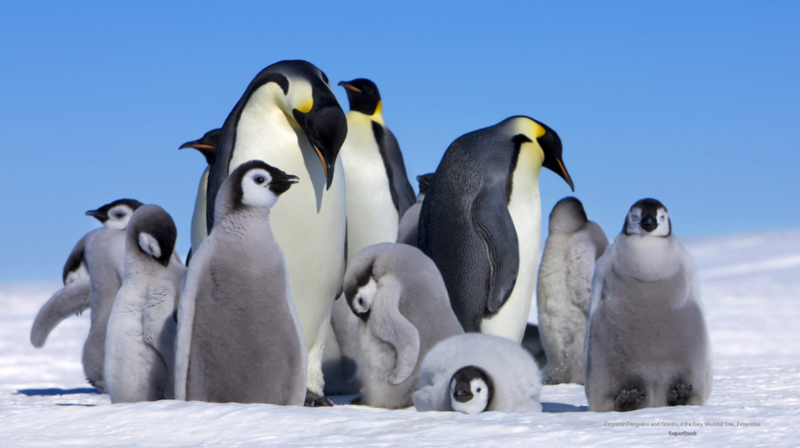 The CCAMLR negotiations started in earnest five years ago. They require consensus, but every year Russia blocked the proposal. WEF: Why did you think you could change Russia’s mind? LP: I had a gut feeling it would work. I always thought that if the arguments were presented properly to President Putin, he would agree to it. He would see the injustice and act. Being good at arguing doesn’t make you a good negotiator. It’s about persuasion, not debate. But more than putting a persuasive argument to them, I also listened to what they had to say. I didn’t go in looking for a confrontation, but rather tried to find a point of mutual understanding. I think that made all the difference. WEF: You also risked your life with several sub-zero temperature swims to highlight the campaign. LP: I try not to think of them like that. But yes, the last swim I did in the Ross Sea was the most dangerous I’ve ever undertaken. The sea was minus 1.7°C and the air minus 37°C. Just before I dived in I watched a small wave hit our support boat – and before the water hit us it had turned to slush mid air. But if you dive into the sea thinking you may die, it will be paralyzing. You have to dive in with conviction. LP: I am carrying a message. I am urging world leaders to be courageous – and to take what are often seen as tough decisions – to protect the environment. It is essential for me to show people how beautiful a region is, to make people care about it, when I’m asking them to protect it. Stripping down to my Speedo and putting my life on the line for the issue showed my personal commitment to the cause, as well as drawing attention to it. Swimming in a wetsuit or dry-suit would not have sent the right message. WEF: And you believe these swims were key to your success negotiating with the Russians? LP: Cold-water swimming is very popular in Russia. You won’t find a Russian who, as a small boy or girl, was not taken to a frozen lake where a hole had been cut into the ice for them to jump in. Russians know cold. I think the fact that they could relate to what I was doing, and that I had come as a person, an individual, a sportsman and an ocean advocate. It gave me a unique access. WEF: You called on Nobel Peace laureate Desmond Tutu to support the negotiations. Can you explain what peace has to do with it? LP: In 1959 at the height of the Cold War, Antarctica was set aside as place for peace and science. The deal shows that Antarctica continues to be a place for peace and bridge building, a place where we can find common ground. My greatest hope is that what’s been achieved here can foster dialogue and cooperation in other parts of the world. WEF: So this form of diplomacy can be used in other areas? LP: Yes it can. This last year I helped negotiate the halt to an annual mass balloon release in Gibraltar that had been going on for 24 years, and was very harmful to the environment and caused tension with Spain. I also prevailed against some major US corporations who were sponsoring shark-hunting competitions. So I think there’s no reason why it can’t be used to create change in business, science, education … anything where an industry is not keeping up with the times. WEF: What’s the problem with traditional diplomacy? LP: The main problem is speed. You’ve got to be faster than the threat. It took just 10 years for all the blue whales to be hunted out of the Ross Sea in the early 1900’s. And that was before we had fishing on an industrial scale. The wheels of bureaucracy move too slowly for the urgency of the issues we face today. It’s all process and red tape and protocol. I’ve seen letters take two weeks to go through the ‘correct’ diplomatic channels. If I want a meeting I send a message to my contact in Moscow on Whatsapp. I get a response in 30 min. WEF: You are a Professor in International Law, but it sounds like you are a maverick who likes to work outside institutions? LP: Institutions are good at maintaining systems but not at changing them. We need institutions to keep the world working and the lights on. But we also need to change those institutions for the sake of our planet. And that change will be driven by determined individuals who probably come from outside the establishment. Make no mistake, I was well supported by top experts. But ultimately I made the decisions and took responsibility for them. Individuals can be held accountable; Institutions can’t feel pain or hurt or embarrassment. WEF: What was the toughest part of the negotiations? LP: The relations between the US (who proposed the MPA) and Russia were at their lowest since the end of the Cold War. They had major disagreements over the war in Syria, and Russia was facing crippling sanctions. Negotiating in that climate was extremely tough. Inevitably, protecting a continent thousands of kilometres away was the last thing on everyone’s minds. On a personal level, the campaign consumed every day of the past two years. I shuttled to Russia many times – one of those involved hosting a dinner for 29 diplomats. I had to have major back surgery just 2 weeks before, so that was physically challenging. WEF: What was the tipping point? LP: Great deals are built brick by brick, and over many cups of tea. It takes time and patience. But looking back, the main tipping point was when President Putin appointed his close friend and former Chief of Staff Sergei Ivanov to be the inaugural Ecology Tzar. Ivanov was tasked with driving all environmental issues in Russia. And he is passionate about the environment. WEF: What do you plan to do next? LP: I’m about to embark on another Antarctic swimming expedition. I want to build on the momentum of the Ross Sea MPA and will be calling for another three Marine Protected Areas in Antarctica by 2020. That year is the bi-centenary of our ‘discovery’ of the continent. By then I hope to see the key parts of Weddell Sea, East Antarctica and the Antarctic Peninsula protected. That should bring the total protected area to nearly 7 million square kilometres – roughly the size of Australia. WEF: Finally, what makes a great negotiator? LP: Many things. But it’s important to always remember that negotiation is not a battle. It’s an exploration. Mutual respect is key. It’s very important to understand and appreciate the other side of the story. How else can you frame an agreement that feels like a win for both sides? There is a promised land. You just have to find it. This interview was published on the World Economic Forum website on 18 November 2016.